This bowl of clay pot pearl noodles soup is as refreshing as it appears on your screen. 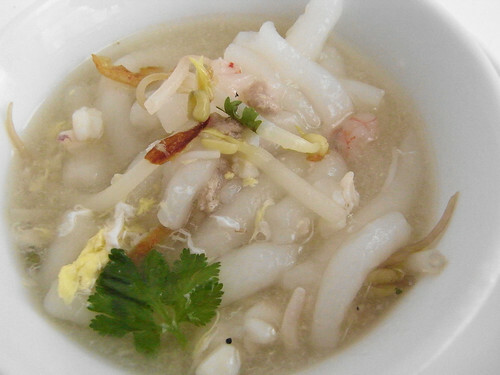 A Hong favorite, the combination of chewy thick pearl noodles, minced shrimp, pork, squid, bean sprouts and eggs reminds us, although with an Asian twist, of a hearty chicken noodle soup. Interesting, I wonder where the restaurant derived this dish from? I (being Vietnamese) am not so sure this dish is Vietnamese at origin either, there are not too many dishes with pearl noodles among our soups.